Authentic Mexican flavor makes for a great family-style dinner — enjoy! Boil chicken breasts for about 15 minutes. Shred and place in a container and cover with taco seasoning and wine — refrigerate for two hours. Chop onions and tomato and sauté in olive oil. Drain beans and add to mixture. Heat and set aside. Shred head of lettuce, toss with vinegar and pepper. 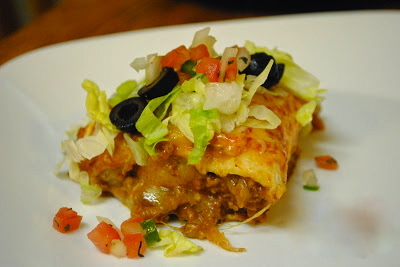 Dip tortilla in sauce and place in 9×11” dish. Fill tortilla with chicken mixture and roll. Top with 2 T. sauce. Repeat. 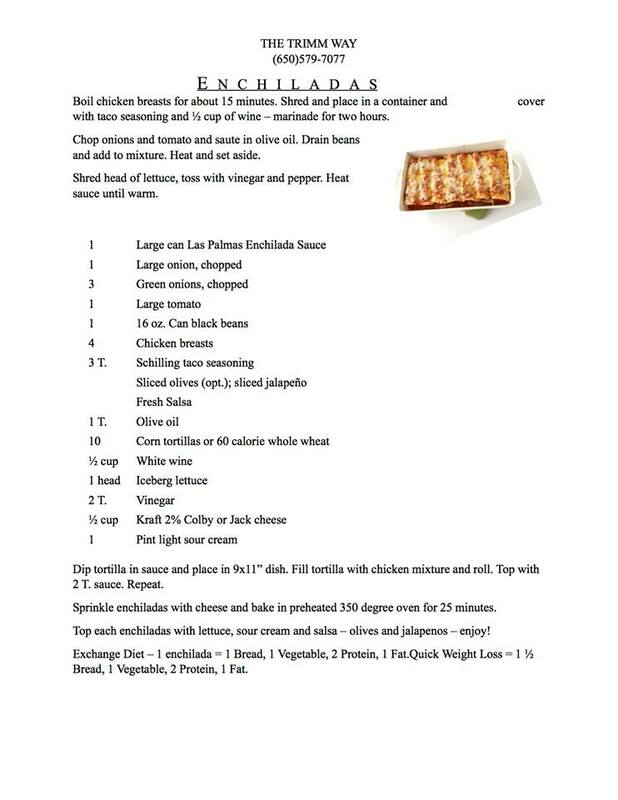 Sprinkle enchiladas with cheese and bake in preheated 350 degree oven for 25 minutes. 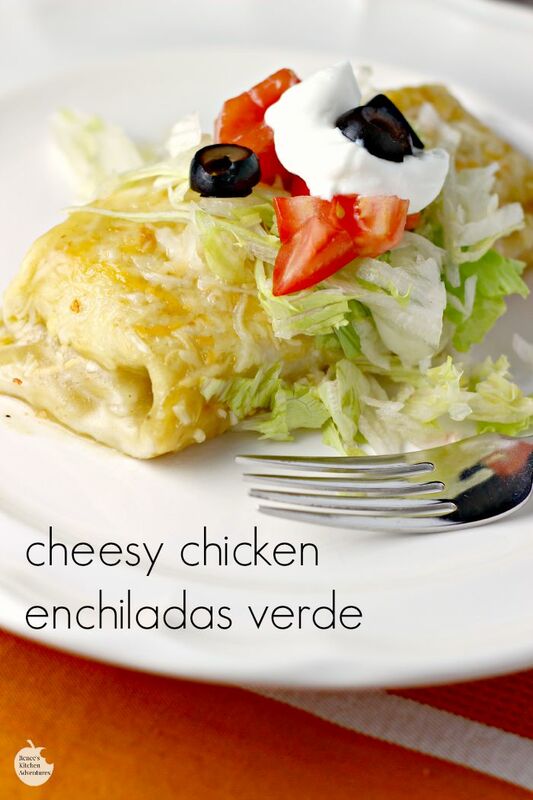 Top each enchilada with lettuce, sour cream and salsa, olives and jalapeños. Click on the recipe below to get the full-sized version, and enjoy!